I have been on count down for this week for what seems like forever, well you know since the kids went back to school after Christmas. Tell me I am not the only one who does that? I'm a parent that seriously misses their kids when they go back to education after the holidays, I crave the family time, even if it is just sitting indoors watching films together. There never seems to be enough hours in the day to just enjoy each others company. So this half term started off fairly lazy, a lot of Netflix and a fair amount of junk food. Did anyone else make a point of grabbing themselves a Big Mac. As soon as I saw them advertised I was instantly craving one. On Saturday we were like a family of Big Macs with the adults eating the Grand Macs, the two eldest eating normal Big Macs and the little ones chomping on their Junior Macs and let me tell you, they were well worth the calories consumed! I'll admit my reading slowed down this week, I was having too much fun with the kids. 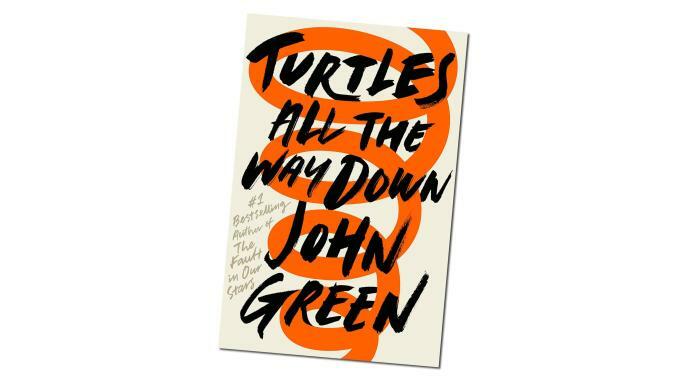 A novel I didn't mention last week was Turtles All the Way Down by John Green. An author that I really rate, this story was just as good as his previous books. It's sort of a mix of genre as in one hand it is a coming of age story and on the other hand it covers another subject, one that I'll let you read for yourself as it would take away from the impact if I shared it now. One book that I have been slowly making my way through is one I was lucky enough to receive through Netgalley. To Kill a Kingdom is a world of fantasy filled with mermaids, sirens and royalty. It's one of those novels that you can totally sink into the worlds created and find yourself lost within them. This is a genre that I really enjoy, nothing too serious and also one that I can share with my kids too. On my list of TBR books right now I have Sunshine & Secrets by Daisy James, watch out for that review coming up on the blog. I'm a person that doesn't go to the cinema very often so how is it that I managed to go to the cinema twice in one week? My first outing was to watch Fifty Shades Freed with my bestie. Ok these films are never going to win any Oscars but lets be honest that's not what we watch them for. I love a bit of Jamie Dornan although it would have been better if they'd let him keep his accent for the movies! This was just pure trashy escapism. The other film that I went to watch, this time with the kids was The Greatest Showman. SO MANY people had told me just how good it was and that it was a must see so when our local cinema had it showing for £2.50 a ticket, I knew it was time I gave in and saw it. The girls and I can confirm it really is an amazing movie and the soundtrack is shall we say addictive. If you haven't seen it already then I highly recommend that you do so now. Unsurprisingly I've heard a lot of The Greatest Showman soundtrack, my eldest favours it the most so it has been played on repeat in our house. It's that sort of feel good music that you can't help but sing along to. The other thing I've heard a lot of is excited talk from my now eight year old. It was her birthday yesterday so for the majority of the week I've had a lot of birthday related questions. Have you made my cake yet, what have you bought me, what time are my friends coming round. And to accompany that was lots of girlie chatter when she had two of her friends sleeping round last night. Its so nice to see such close relationships formed. Being Valentine's this week I also made my husband's favourite cake, tiffin cake. With the assistance of my ten year old I 'attempted' to make a heart shaped one as well as a batch of normal ones. It sort of worked although it took time to get it out of the tin! And to add to the day I also made him his favourite meal of paella. With the temperatures being super cold these past couple of weeks it has been all about the layers. I didn't look fashionable of glamorous in the slightest but what I was was cosy. Oversized jumpers, beanies and scarves have been my items of choice. Anyone else really wishing Spring/Summer would hurry up and make an appearance? I'm getting bored of wearing the same outfits all the time, I get the feeling that people think I can't afford to buy anymore clothes! This weekend I'll be heading up to Go Ape in Bedgebury with my husband and two of our friends. Last time I went to Go Ape I was overcoming a huge fear of heights. Now it wasn't some miraculous cure, if I'm honest I am super scared of going up into the trees again but I am also really excited to get out and do something different without the kids, a bit of adult time is really needed sometimes, you guys know what I mean. Keep an eye out on my social channels for a discount code so that you can go ahead and book up your own day out with them. I've read all of John Green's books and I think Turtles is my favourite. You did a great job with the cake. Making home made cakes is so nice but I always declare never again after. Sounds like you had a fab half term. I can't wait to be able to spend the holidays with Olivia when she starts school although I don't know how thats going to work out with my job.